The Spain Chapter of the IEEE Circuits and Systems Society, chaired by Dr. Teresa Serrano-Gotarredona, from the Institute of Microelectronics of Seville, IMSE-CNM-CSIC, received the Best Chapter Award of the IEEE-Spain Section in 2014. The awards ceremony took place in Madrid, on October 31, during the celebration of IEEE-DAY in Spain. 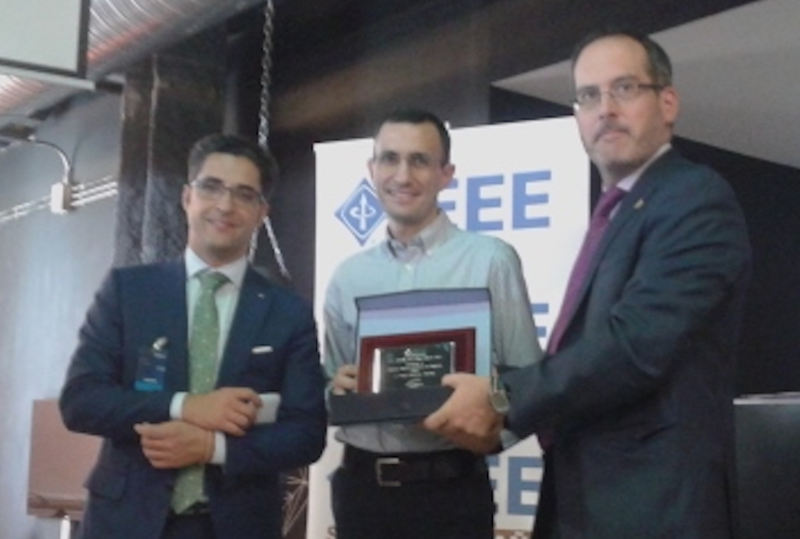 The picture shows Prof. Jose M. de la Rosa (Chapter secretary) receiving the award from the President of the IEEE-Spain Section, Prof. Emilio Corchado-Rodríguez (left), and the communications-activities coordinator, Prof. Jesús Fraile (right). The awards ceremony was published in IEEE Region 8 News, vol. 18, no. 2, September 2015.